A large backlit display will come in handy in dark rooms for easy data reading. Extended functionality of the monitor adds to its utility and ease of use. A battery set should be bought separately. 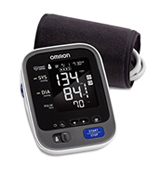 The best blood pressure monitor for people who need to have accurate readings. It takes 3 consecutive readings to display the average number and features wireless syncing with your gadgets. 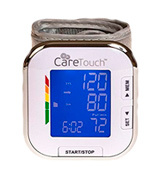 The Care Touch monitor is very compact and lightweight. Plus, it requires no cords and adaptors. 2x AA batteries are all you need. 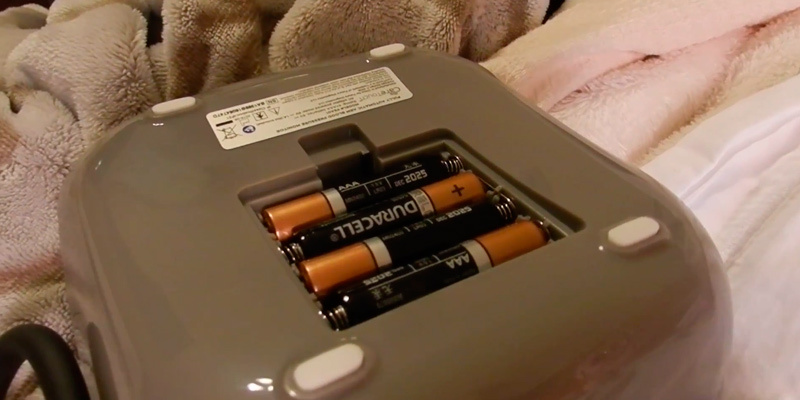 When the batteries are low, the unit might be not that accurate. It's a very portable personal blood pressure monitor that you can always carry with you to get accurate readings wherever and whenever you want. Just put the cuff on your wrist and turn the unit on. Thanks to the Advanced Averaging feature, the unit automatically displays the average of the last three readings taken within the last 10 minutes. Even a slight motion or vibration might influence the results. 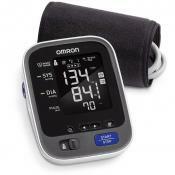 Omron, the #1 recommended brand by doctors, offers a super-accurate home BP monitor designed for two users. It compares your readings with normal levels and alerts you if you have an irregular heartbeat. The device can show the health date (blood pressure and pulse) and time stamp of the last 250 readings for 2 separate users. It needs calibration over time. 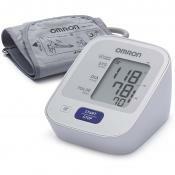 This blood pressure monitor is excellent for family use. The thing is, it can store readings for 2 users and fit almost any arm circumference. It has a large cuff that can wrap an arm comfortably without pinching. The device stores your reading with date and time in memory thus, you can easily track the changes in your blood pressure rate. Doesn't feature auto off option. 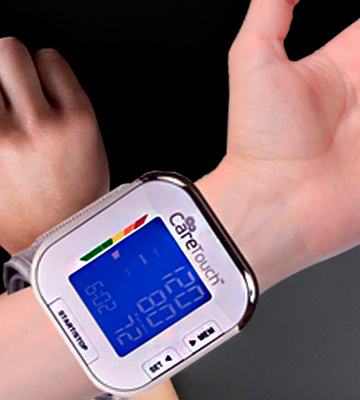 The affordable wrist pressure monitor is produced under the well-known Japanese brand. This model boasts excellent accuracy regardless its wrist type and thus, outruns its contenders. 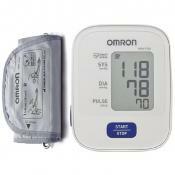 An old manual blood pressure monitor is nothing compared to Omron BP786N. With this top-notch device, you will feel no grain of doubt in its readings since it features high sensitivity index and TruRead. We should definitely enlarge upon the point to explain you how important the listed features are. Here, TruRead automatically takes 3 consecutive readings (each a minute apart) and displays the average numbers following guidelines set by the American Heart Association. 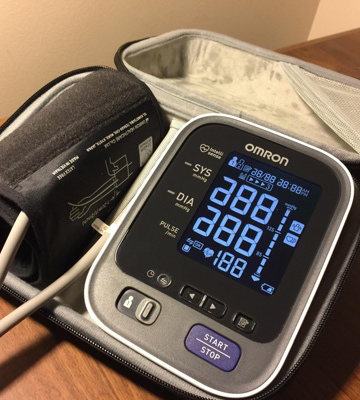 The device has multi-color indicator lights that show whether your readings are in the normal or hypertension range and BP level bar for comparison of your readouts to normal blood pressure levels. And finally, Easy-Wrap ComFit Cuff inflates around the entire arm to avoid incorrect cuff positioning. We assure you that the combination of these features provides the most accurate data on your blood pressure and pulse. Additionally, there is a built-in motion sensor that keeps track of measuring process and alerts you if it detects motion that might hinder taking the accurate readings. All in all, Omron's accuracy is excellent! The blood pressure monitor features Bluetooth syncing with your gadgets and allows you to store a big number of your systolic, diastolic, and pulse readings. 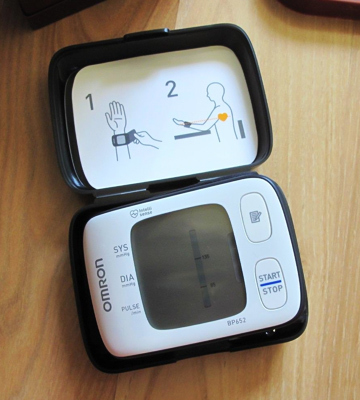 As regards the blood pressure monitor, it stores up to 200 readings per person or can accommodate two users reading separately. 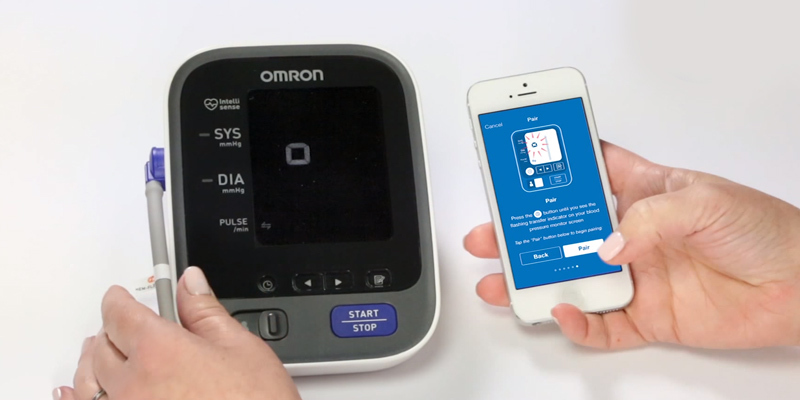 So, to view the data on your blood pressure and compare changes in readings for the extended period of time, install the free Omron Wellness app and be aware of your numbers anywhere, anytime. Moreover, you can email the readings to your family or doctor for a consultation, saving your precious time on visiting physicians. OMRON Corporation is an electronics company based in Japan. 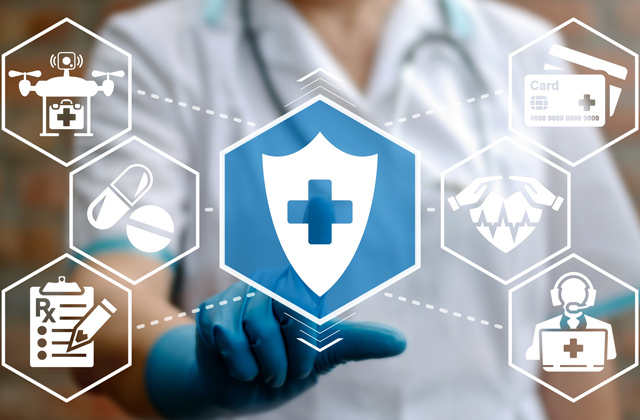 The world’s best company's business is based on automation components, equipment, and systems manufacturing, but it is generally known for medical equipment such as high-quality digital thermometers, blood pressure monitors, and nebulizers. The Omron's monitors are used in a massive 50% of all clinical trials and national health surveys which are carried out worldwide. These figures are the direct positive demonstration of the device's accuracy, quality, and reliability. Moreover, the Omron's equipment is approved by European Medical Device Directive 93/42/ЕСС and applied with the CE 0197 mark. 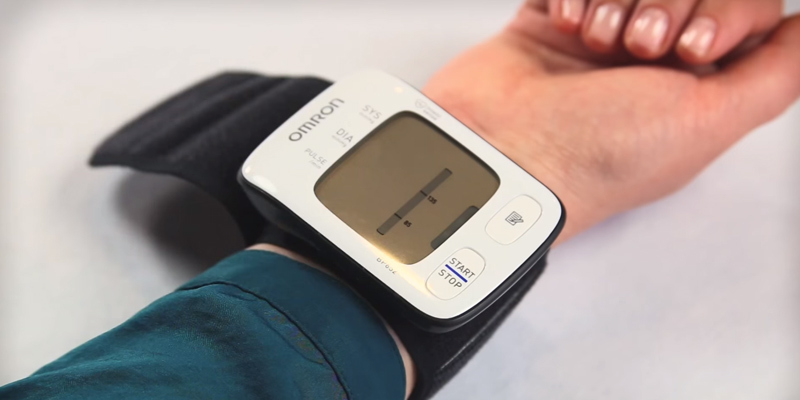 The main peculiarity of automatic blood pressure monitors lies in a built-in compressor that automatically inflates the cuff and eliminates a human factor that may lead to incorrect readings. Thus, owing to evenly inflated cuff the readings are really accurate. Also like the Bluetooth as it moves all my readings to my phone. Durable caseling and good design. The device itself seems very well belt and the cuff is comfortable. Frequent visits to a doctor might cause some kind of anxiety and even stress that might lead to inaccurate readings, so using a blood a blood pressure monitor is a solution. It can help you keep track of your blood pressure and pulse to monitor your health improvement day-by-day. And the Care Touch pressure monitor can provide you with accurate readings not only in the comfort of your own home but anywhere else you want. The thing is, it's a fully automatic blood pressure cuff monitor that is powered by two AA batteries that can be bought at any local store. Being just 2.9" x 2.6" x 0.88", this reliable monitor is very lightweight and compact. So, you can easily toss it into your handbag or backpack and feel more secure wherever you are. 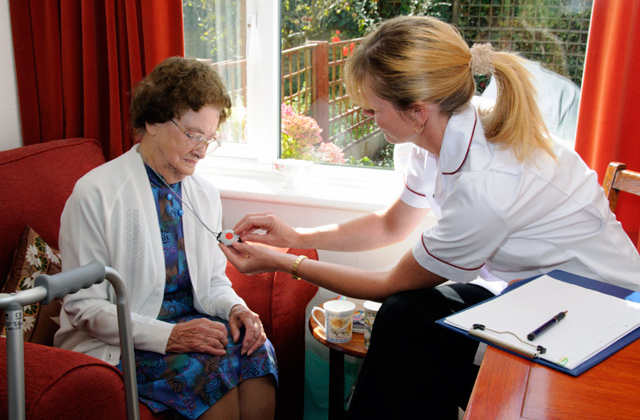 As we've already mentioned, the Care Touch monitor gives very accurate readouts without fail. The pressure range makes 0 to 300mmHg (also, there's an option for kPa) with the accuracy up to 3mmHg, while the pulse range is 40-199 beats per minute with the accuracy +5%. It's worth mentioning that the unit features an Irregular Heart Beat Indicator, and once the irregular heartbeat is detected, it will show the respeсtive symbol on the large 1.4” x 1.6” display. The monitor is very quick and can display all the readings in less than a minute. This fully automatic blood pressure monitor was designed with a user's comfort and health in mind. 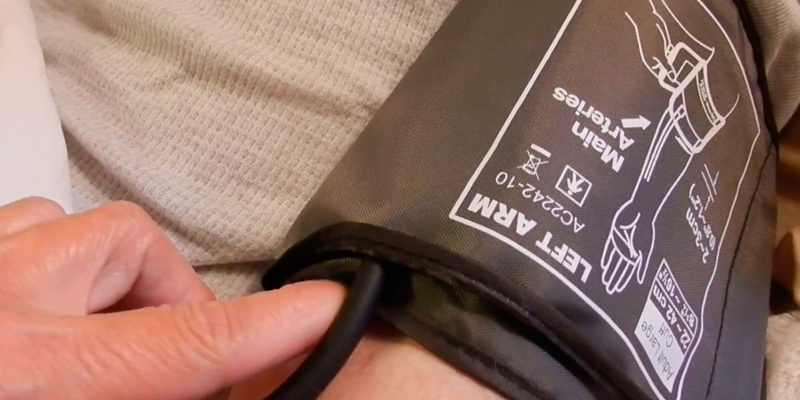 The BP monitor has a standard cuff size of 5.5" - 8.5" and should be worn on a wrist. Just put the cuff on your wrist, right above your wrist bone, and turn the unit on. For the best results, put it on your left wrist, closer to your heart. Also, bend your elbow in such a way that your wrist is placed at the same level as your heart - you can lay your forearm across your chest or hold your arm bent at the elbow with your wrist above your heart. Within one minute, you'll see your health information on the LCD screen. By the way, the memory storage allows you to save and review 60 last measurements. The display is backlit and easy to read even in the dark. This way, you won't need to turn on the overhead light at night to read the results. 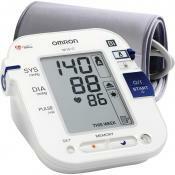 A blood pressure monitor is a common medical device, which can be found in nearly all households. Elderly people, hypertension patients, and individuals who suffer from chronic ailments or health conditions that might potentially cause blood pressure problems are those categories that measure blood pressure on a regular basis. Aside from those, there are plenty of health-conscious people that want to be aware of their health condition and monitor their blood pressure and heart rate to spot warning symptoms in time. The Omron BP742N tonometer from Series 5 cleverly combines a user-friendly and ergonomic design with not-half-bad functionality which makes it a good option for home use. It ensures consistent, precise readings and is suitable for use by two people. 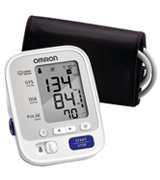 So, you can share this super-accurate Omron blood pressure monitor with your close people if needed. 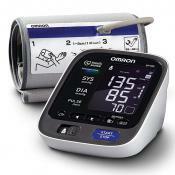 Due to the Wide-Range D-Ring and upper arm design, the Omron BP724N is easy to use and comfortable to wear. A special D-ring cuff closely wraps the arm and comfortably sits on both standard and large adult arms from 9 to 17 inches in circumference. Meanwhile, a self-inflation function helps to position the cuff correctly and keep it securely in place for obtaining maximum precise readings. 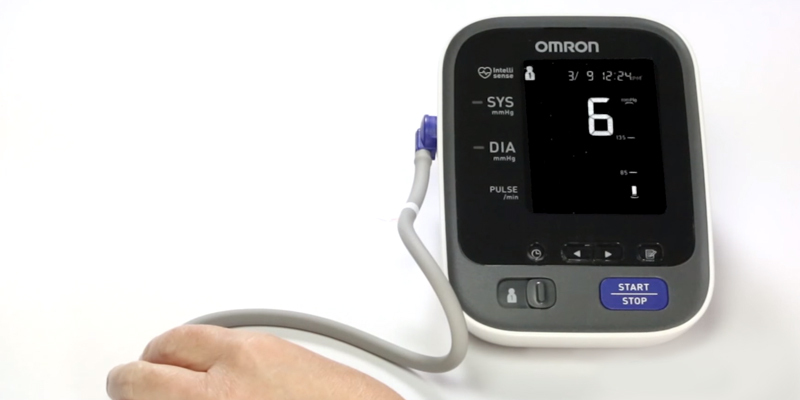 In case your diastolic or systolic pressure or heartbeat appears out of the norm, the Omron BP724N will signal that and exhibit the deviation. For greater convenience, readings are shown not only in figures but also in a graphic format so you can see how your BP is trending and compare the results with the ideal range. 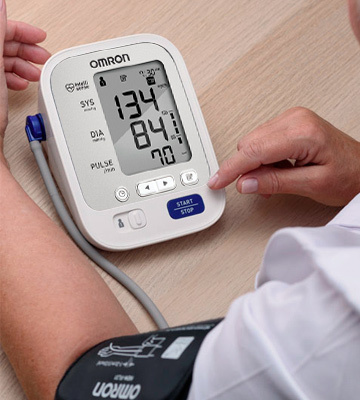 If you're looking for a breeze-to-use, easy-to-read, and super accurate automatic blood pressure monitor to control your blood pressure at home, the Omron BP742N is definitely worth your attention. 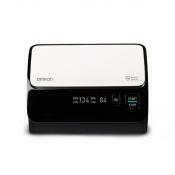 The common feature typical of all premium-series Omron tonometers is that they store a lot of readings. The same is true for the Omron BP724N. It can store up to 50 last readings for 2 people (100 in total), which makes it a good value for families that have more than one person monitoring their blood pressure. And thanks to the Advanced Averaging function, the monitor automatically displays the average of last 3 readings taken during the last 10 minutes. 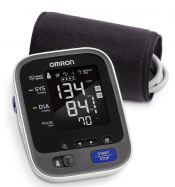 After trying different blood pressure monitor brands, I would say that the most thing I am very please with is the accuracy of the Omron can't ask for more. This blood pressure cuff is light weight, easy-to-use, and accurate. The cuff design is an improvement in that it is easier to tighten. Nice backlit display, and a high quality blood pressure cuff. definitely worth the money. I would recommend this to anyone who needs to monitor their blood pressure, it has the capacity to store the last hundred readings for at least two people. 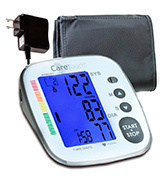 The Care Touch company offers the premium arm BP monitor from the Platinum series. The monitor is completely automatic and requires no effort for taking accurate readings from the comforts of your own home. It should be worn on your upper arm rather than on your wrist to provide you with quick and precise measurements. The unit displays health date on the clear LCD display. 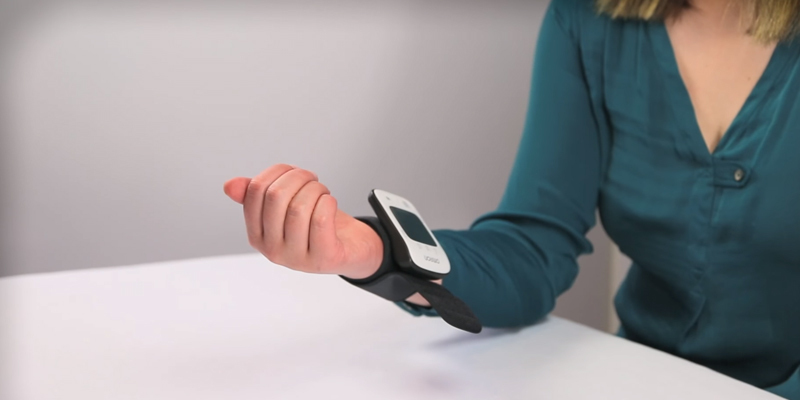 But the main highlight of this model is that it can store a whopping 250 readings with time stamp, making it easier for you to track your blood pressure readings over time. 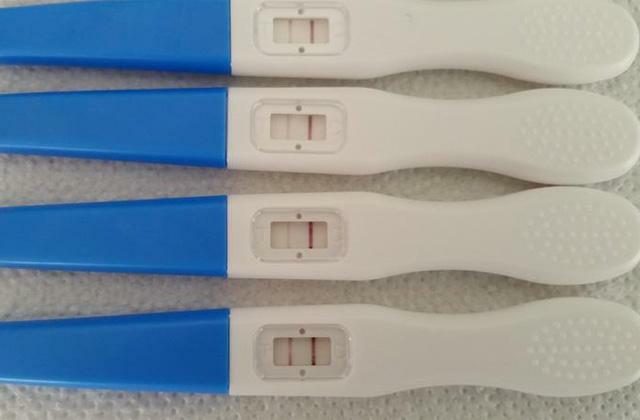 Plus, the device can store readings for two separate users. 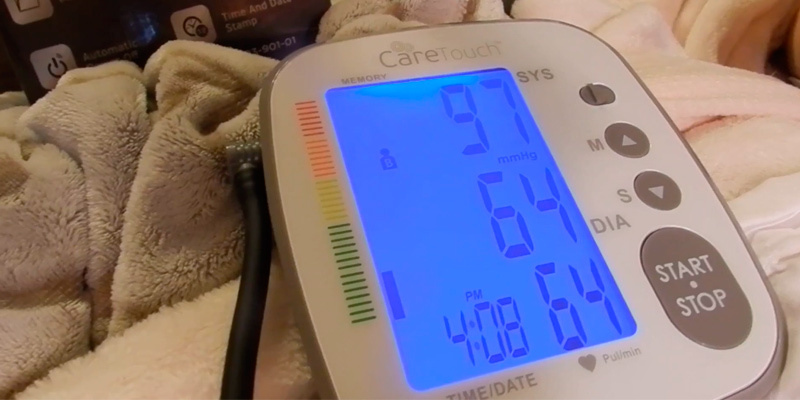 Another notable feature is that the Care Touch BP monitor can be powered in two ways - by four AAAA batteries (included in the set) or from the mains. 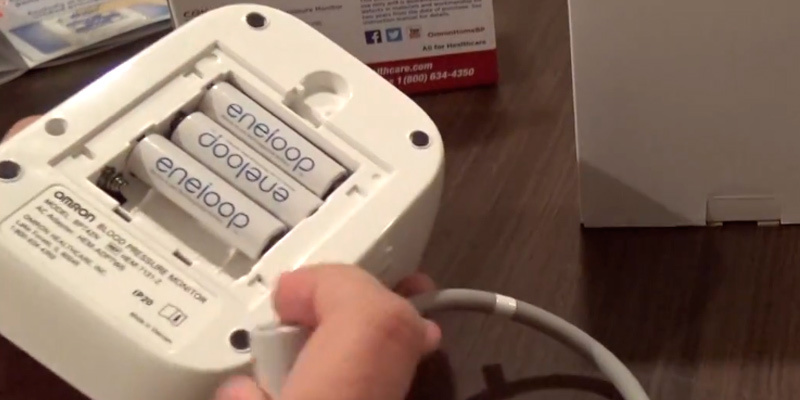 If you're staying at home you can simply use an AC adapter to save battery charge. In all, if you need an extra-capacious and extra-flexible monitor for pressure/pulse measuring, it's a worthy purchase. 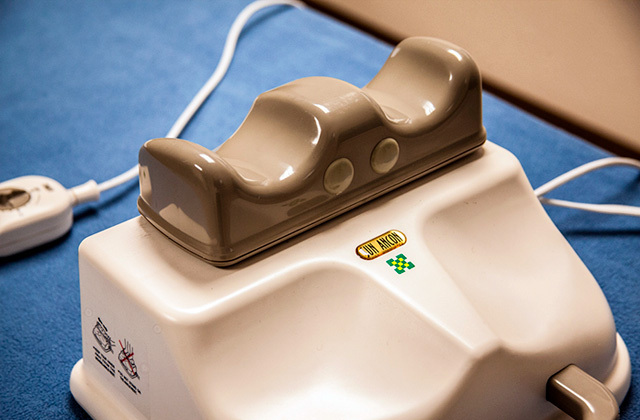 Most manufacturers of blood pressure machines claim that their devices can fit extra large arms. In practice, however, their cuffs are usually just too small and often pop off the arm while taking readings. 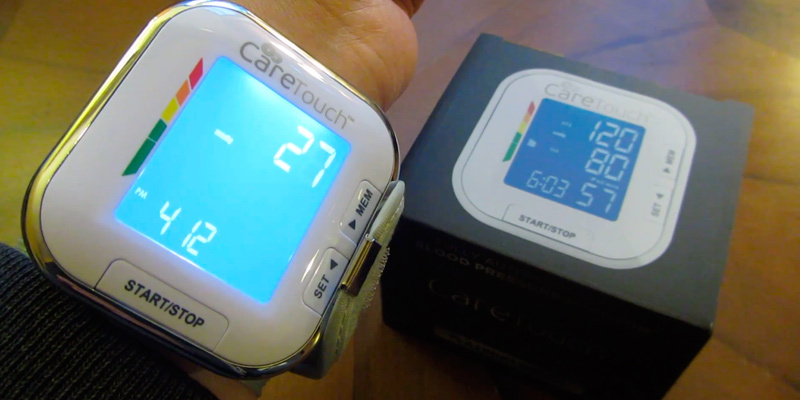 The same doesn't go for the Care Touch upper arm blood pressure monitor though. It's got a large cuff that can wrap any arm comfortably without pinching. The wide-range cuff fits arms from 8 3/4 to 16 1/2 inches in circumference. This makes it suitable for just about anyone who's conscious about their health. Prepare for a reading properly. Avoid smoking, drinking alcohol or coffee, bathing, or exercising for 30 minutes before taking a measurement. Also, don't take a measurement during stressful times. Best time for a reading. If you want to keep track of your improvements, try to take measurements at the same time each day. You can do this once in the morning and once in the evening for comparison purposes. Take a proper position. 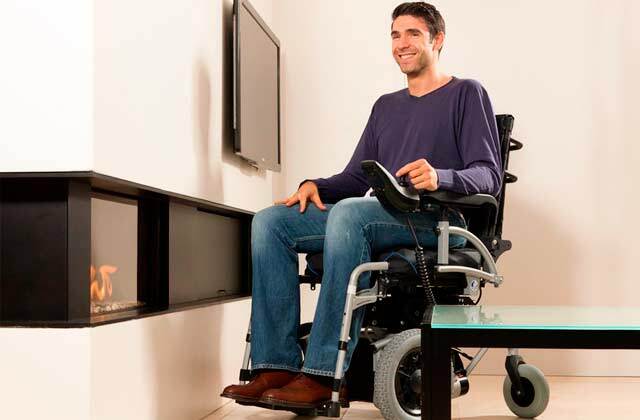 Sit in an armchair or chair and rest your arm on the table with your palm facing upwards. Put on the cuff - it should be on the same level as your heart. Don't move or talk during taking the measurement. 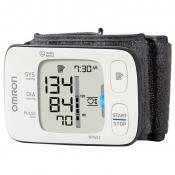 Omron BP652N 7 Series is the ultimate blood pressure meter for travelers and those who spend a lot of time away from home yet need to measure their pressure often. If you're one of them, portability is a crucial feature to look out when selecting a wrist blood pressure monitor. You might have noticed that upper arm cuffs are cumbersome and rather inconvenient for taking your readings at work, outdoors or while you are on a trip. 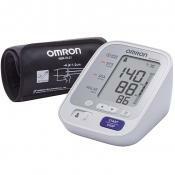 While measuring your blood pressure with Omron BP652N can be really a breeze with it simply fixed on a wrist. 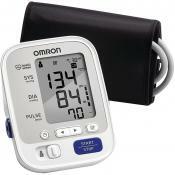 As regards Omron BP652N 7 Series wrist blood pressure monitor functionality, it doesn't budge an inch for competitors. The device is quiet and accurate owing to the combination of several features. First of all, we should mention the included Heart Guide Technology provided to inform you of the right position for taking measurements. For if you sit uncomfortably, the readouts might be fake. The other worthy functionality features include blood pressure indicator, movement indicator, and irregular heartbeat indicator, all to ensure you've got the full information on your health condition. Have you ever given a thought why it’s important that your hand is at your heart level while measuring pressure? The fact is, when you lower your arm, the blood flow in vessels immediately rises and the other way round, the moment you rise your arm, it drops. Therefore, there’s a big chance to receive misleading readouts without precise measure. However, if you hold your hand at the heart level, the blood flow levels out and you can see the right info. Only those people who suffer from atherosclerotic vascular disease are to keep their hand just a bit lower, at 7-8 cm below the heart. A blood pressure monitor isn't the only device that should be found in any household. If you have small kids or simply want to have an easier means for measuring body temperature, consider buying one of these fantastic ear thermometers. 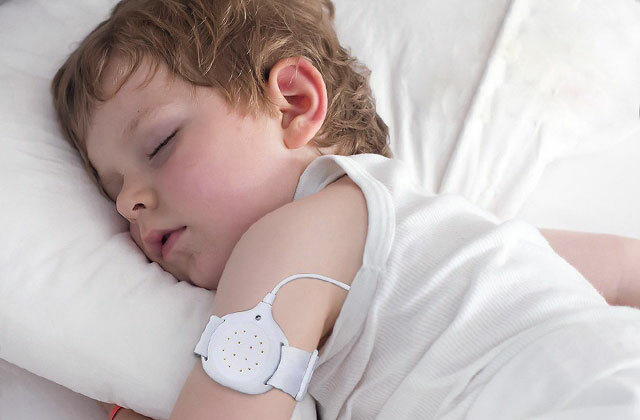 Ear thermometers are immensely popular with young parents as they are 1) extremely precise, and 2) allow for checking the baby's temperature at night, when they sleep. The built in memory feature is great and can be used for a single person (selection A), or if using for two people (each selects which one "A or B" to store their own readings in memory. The unit is compact, great for home and travel and comes with a very nice hard storage case. The pulse reading is accurate and the memory functions work, so I can't really give it the worst rating. Checking blood pressure and pulse with this small wrist device is easy and more comfortable than one with the arm cuff. 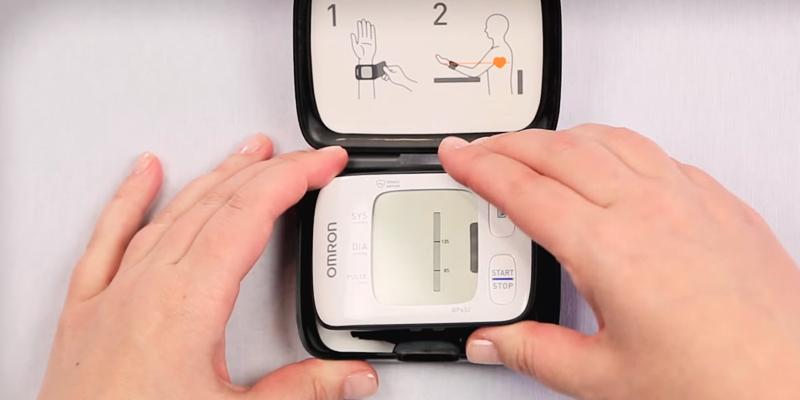 What Is a Blood Pressure Monitor? Every person should always be aware of his or her health status. And the first thing people should monitor is the changes in their blood pressure since high blood pressure is a common problem that affects millions every year. Of course, you can visit a doctor from now and then, but you won't be able to monitor whether your blood pressure is within a normal safe range. To be more precise, you might feel some anxiety after a traffic or overcrowded hospital resulting in a higher blood pressure reading at a doctor's office. 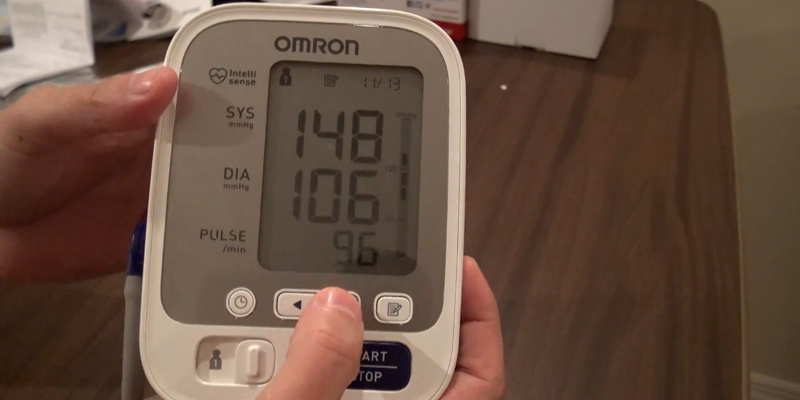 That's why it is quite important to have blood pressure equipment at home to get accurate readings on a daily basis. The best candidates for purchasing a tonometer are seniors, diabetics, pregnant and those who take medication for blood pressure. Nowadays, automatic blood pressure monitors don't require any sophisticated manipulations or knowledge if compared to manual ones. 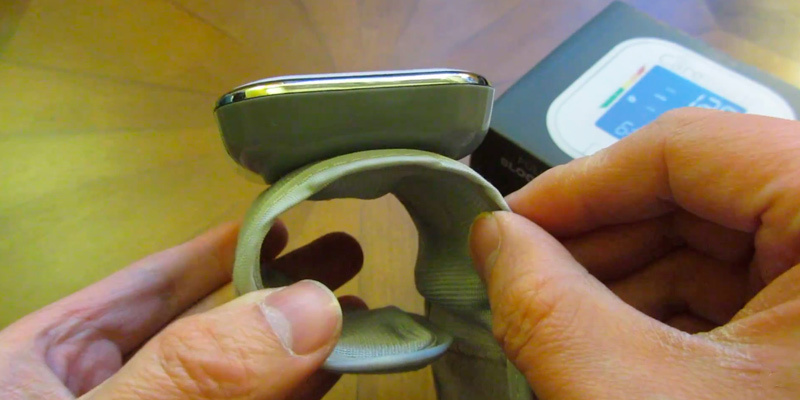 All you need to do is fix a cuff on the upper arm or wrist and press the start button. 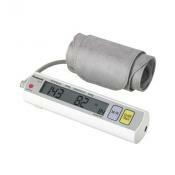 The cuff inflates automatically and the readings instantly come out on a display. 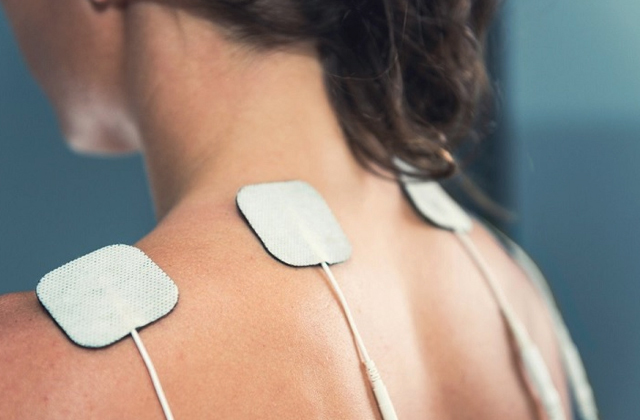 This simple procedure won't take much of your time but will help you educe some health problems in time. If you want to have a well-conditioned skin and activate regenerative processes in your body, making the color of your skin more natural and healthy, we recommend you to look through our review on best face brushes that will definitely help you retain your youth. 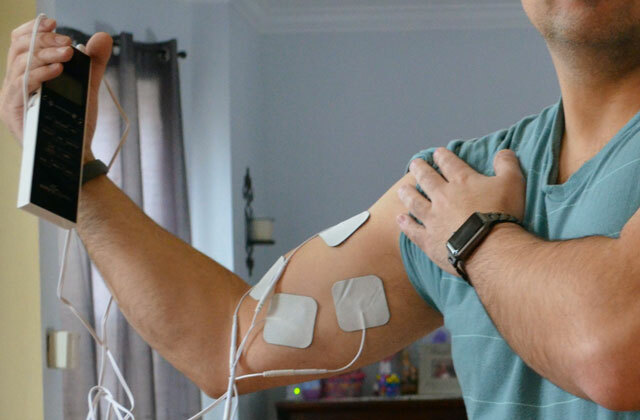 In our review, we are going to present you the arm style monitors since the doctors recommend them for taking most accurate readings. 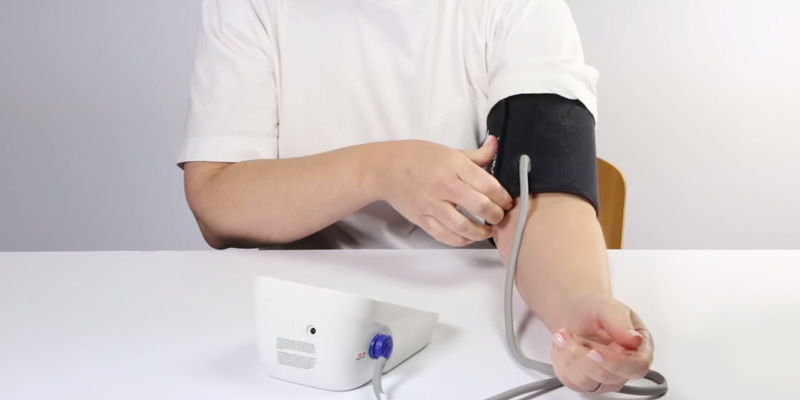 Thus, there are 2 types of arm models: an upper arm blood pressure monitor (the cuff goes around your upper arm) and a wrist blood pressure monitor (cuff goes around your wrist). And when choosing between these 2 cuff styles you should, first of all, determine the age of a user and his/her lifestyle. A wrist cuff is the best option for people who lead an active lifestyle or travel a lot and need to have a blood pressure monitor at hand all the time. It is quite compact and fairly simple to use. As regards the upper arm cuff style, such models are known to be more accurate than the wrist models. Everyone can use them, but those who do not exercise enough, overweight people and seniors are the main target customer group. The reason for this is that our blood vessels (on the wrist) tend to lose their compliance within age or without any physical activity and the blood flow becomes less sensible for blood pressure sensors on wrist models. Apart from the main function of blood pressure measuring, these devices might feature lots of additional options for user's convenience. Thus, the manufacturers aim to make their devices maximally universal to stand them apart from the competition. These extra features can range from Bluetooth syncing with your gadgets, memory storage for the certain number of readings, the ability to track more than one person’s readings separately, etc. 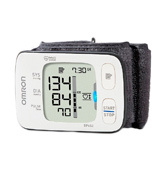 Additionally, some blood pressure monitors are designed with a digital display where you can see the complete blood pressure readings such as systolic and diastolic readings and a pulse rate. 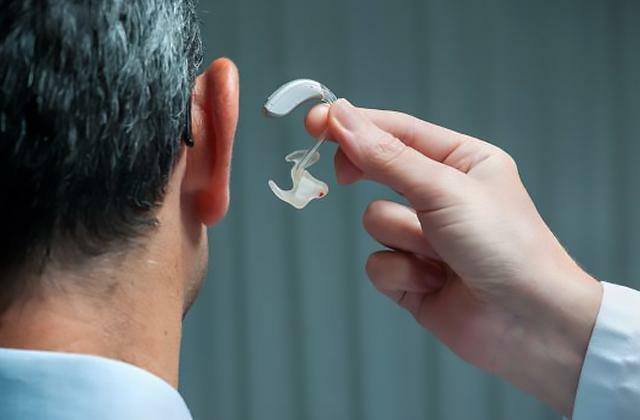 You should also know that there are devices that are engineered with the special sensors that indicate improper cuff fixing, irregular heartbeat or when you move or speak. Certainly, every user knows that when you do your blood pressure you should sit still and refrain from talking during the reading. 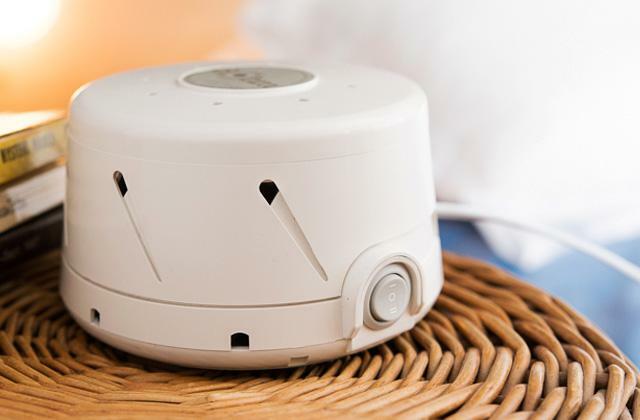 But if you forget about these simple rules a pressure monitor will alert you. 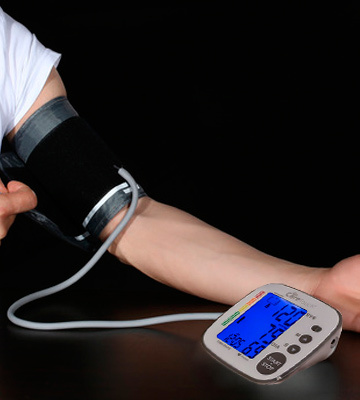 Whichever blood pressure monitor you choose it should perform accurate readings since they are the key to your health. First of all, it is very important to choose the right size cuff. A large cuff doesn't restrict the blood flow accurately while a small one restricts it too much and both lead to inaccurate readings. Thus, to choose the right one start from measuring your wrist or arm around the bicep area for different cuff designs correspondingly. You should also do your blood pressure correct. How is that? 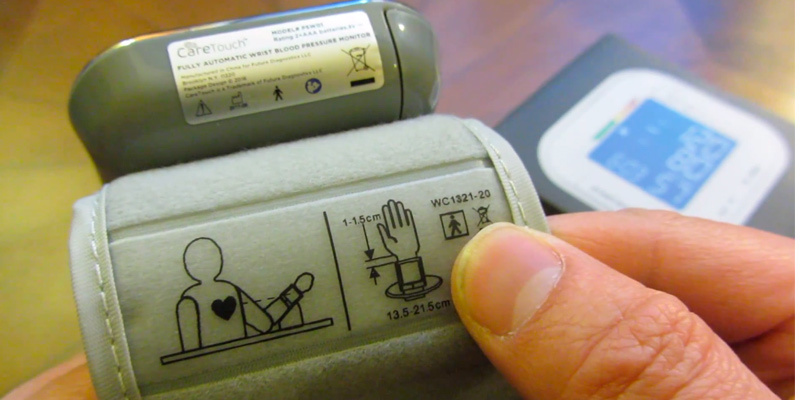 You will find the tips further in our review and, of course, in the manual that comes with a blood pressure monitor. 1. Get the Most out of Home Blood Pressure Monitoring, Mayo Clinic. July 08, 2015. 2. 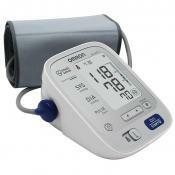 Sue Byrne Find the Best Home Blood Pressure Monitor, ConsumerReports. February 26, 2016. 3. Dallas Franklin How to Choose the Best Blood Pressure Monitor, KFOR. July 31, 2015. 4. 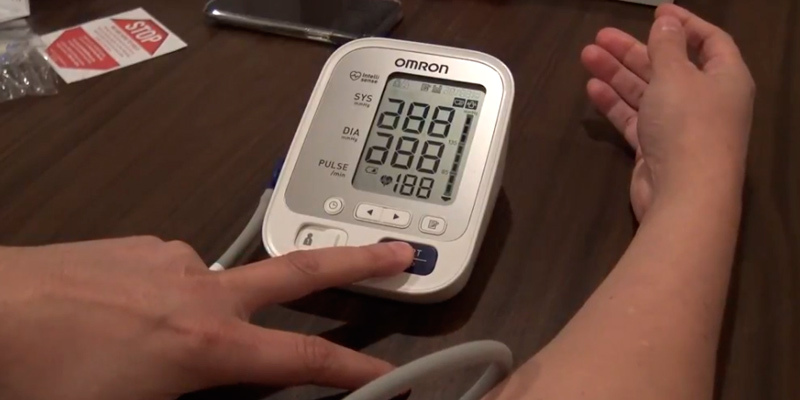 High Blood Pressure | Blood Pressure Monitoring at Home, Family Doctor. November 2010. 5. Sphygmomanometer, Wikipedia. August 14, 2016. 6. 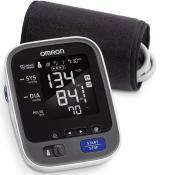 Best Blood Pressure Monitor, Thoroughly Reviewed. 7. Checking Your Blood Pressure at Home, WebMD. May 29, 2015.